How many calories is this? Is this hot sauce or sriracha? And then there's the list of ingredients to think about. Choose from a variety of materials for your food labels so people know why they should buy your food products in the first place. Make sure the information stays on the packaging even when the eating gets good and messy. 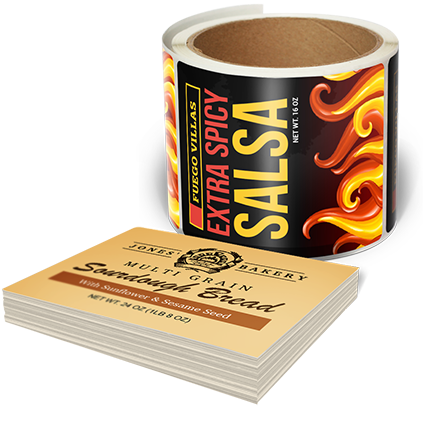 Customize, print, and stick in a jiffy––now, doesn't that make your mouth water?